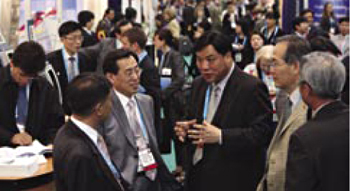 We invite you to the 2008 BIO International Convention, Tuesday–Friday, 17–20 June 2008. Biotechnology innovations are addressing the world’s challenges to heal, fuel, and feed growing and changing populations. Our event cochairs (Catherine Mackey, PhD, senior vice president of Pfizer in La Jolla, CA, and Greg Lucier, chairman and CEO of Invitrogen Corporation in Carlsbad, CA) have focused the 2008 event theme and program to highlight this important role of biotechnology: Innovate. Heal the World. Fuel the World. Feed the World. Thank you to the BioProcess International editors, who created this supplement to provide us insight into the trends, insights, and relationships between topics in the 2008 BIO International Convention breakout sessions and product focus zones within the BIO Exhibition. We hope you will use “myBIO” online tool to sort through the event content and customize your schedule to meet your business needs. Hundreds of new companies are taking part in the BIO Exhibition. You can easily search for your topics and make your personal event plan using myBIO. Join more than 20,000 executives, investors, scientists, policy makers, and journalists from around the world. See what’s possible. Partner with pioneers making advances in health care, agriculture, and the environment. Bring your vision to San Diego, and grow your business. The momentum you will feel at this event carries on year-round with the mission of the Biotechnology Industry Organization, your event host. Visit us online at www.bio.org. See you in San Diego! $50 Discount Exclusive to BPI Readers! The BIO International Convention exhibition has been diversified to bring you more than 2,200 exhibitors, 60+ pavilions, product focus zones, and the new “Emerging Companies Area.” Plan today for four event-filled days at the industry’s largest biotechnology event: the 2008 BIO International Convention the week of 17–20 June 2008 in San Diego, CA. The Bio Process Zone: For the second year in a row, the Bio Process zone will be a one-stop shop for corporate biotech executives and business managers. Exhibitors will address many current issues related to the entire biopharmaceutical process from discovery to development, to marketing and distribution. Bio Process Theater: In the theater adjacent to the Bio Process area on the exhibition floor, speakers will bring you case studies and best practices detailing proven strategies — you cannot afford to miss this! 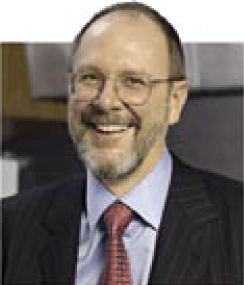 Visit www.bioprocessintl.com for a full list of presentations, speakers, and times. Many of the 2007 theater presentations were standing-room only, so be sure to come early, visit with the many exhibitors in the zone, and network with your colleagues. NEW! Emerging Companies Area: The Emerging Companies Area is a new, special-display exhibit within which 100 newly formed biotechnology companies showcase their technologies and their ambitions. These emerging companies (formed in the past three years) have the potential to become the next giants in biotechnology. Don’t miss your opportunity to be the first to talk with them. The 2008 BIO International Convention also offers a variety of domestic, regional, and international pavilions where you can learn about trends in biotechnology all around the globe. Visit www.bio2008.org/exhibitors for a full list of exhibitors and pavilions and to learn more about the 2007 BIO International Convention Exhibition. When you register by 8 May 2008, you can save up to 30% on a full convention access registration and benefit from all of our networking opportunities and events. Register at www.bio2008.org/register. We have the program topics and speakers you are looking for: With more than 175+ sessions along 20 tracks to choose from including: business development, manufacturing, global health, drug discovery and development, intellectual property and legal, and more. Take advantage of the BIO Business Forum, which brings together more than 4,000 business leaders to take a new idea one step closer to market: www.bio2008.org/businessforum. Use “myBIO” to create your own personalized map and more effectively plan your trip around the exhibit floor. Visit www.bio2008.org/mybio for more information. Plan to spend at least a day in our sold-out Bio Process Zone. BIOTECHNOLOGY INDUSTRY ORGANIZATION (WWW.BIO.ORG)Register Today for the Global Event for Biotechnology! For the most complete and up-to-date information on registration options, schedules, speakers, topics, and more, visit www.bio2008.org/program.